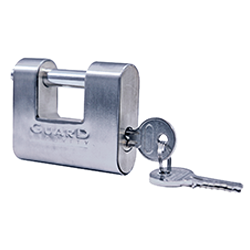 Guard Security High Security Padlocks offer standard duty Padlocks in a wide variety of styles and locking mechanisms. 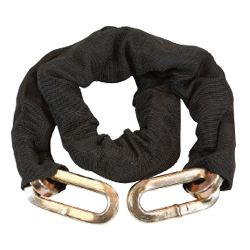 Guard Security Commercial Grade Locks offer a higher level of protection with heavy weight bodies and more secure shackle configurations. Many of these locks are also re-keyable. 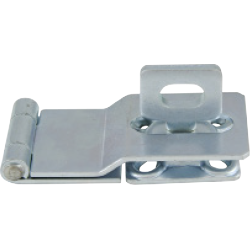 The Guard Security Value Series Locks offer security solutions for the more cost-conscience consumer and use smaller bodies or simpler keying mechanisms. 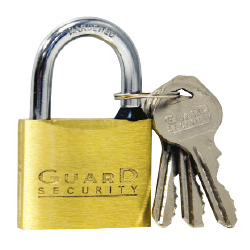 Every Guard Security Padlock is individually tested at the factory to ensure smooth performance before packaging. 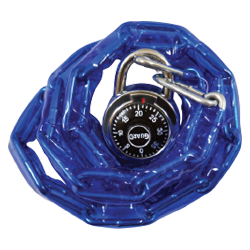 Guard Security keyed locks come with rust resistant brass keys and use common keyways for duplication.